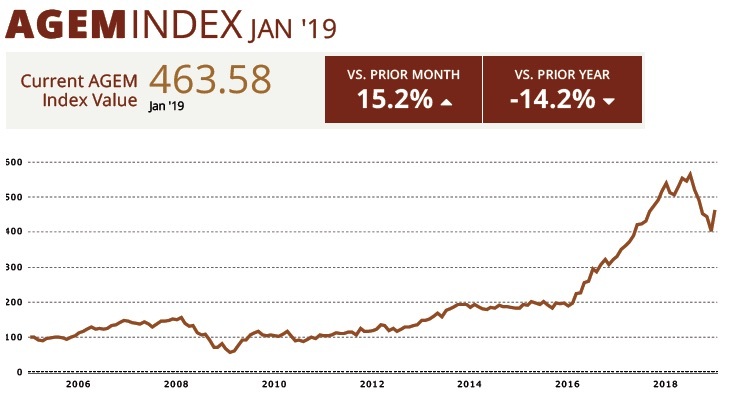 The monthly AGEM Index of prices of shares in 14 important international suppliers of gaming machines rose in January to 463.58 points, 61.07 points or 15.2 percent more than the month before. Compared to January 2018, the index contracted by 14.2 percent. The Association of Gaming Equipment Manufacturers (AGEM), which compiles the index, said in a written statement that the prices of two of the stocks it tracks fell last month and share prices of the index’s remaining 12 constituents rose – with 10 of those companies seeing a double-digit increase. The AGEM said the index’s January growth was “due in large part” to a 12.77-percent increase in the stock price of Australian slot machine manufacturer Aristocrat Leisure Ltd. The stock was responsible for a 24.57-point gain of the AGEM Index’s January growth. 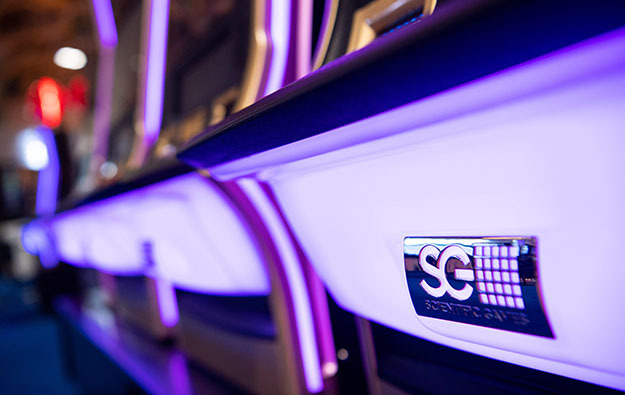 U.S.-based casino and lottery equipment manufacturer Scientific Games Corp experienced a 40.16 percent gain last month in its share price, contributing 12.12 points to January’s index growth. Some 10 suppliers included in the index are based in the U.S., two constituent stocks are listed on the Australian Securities Exchange, one is traded in Tokyo, and another trades on the Taipei Exchange, Taiwan’s over-the-counter market for stocks and bonds. The AGEM began compiling data for the index in January 2005 using a base of 100 points. The stocks that constitute the AGEM Index are weighted by approximate market capitalisation. AGEM represents the manufacturers of electronic gaming devices, systems, lotteries and components for the gaming industry.